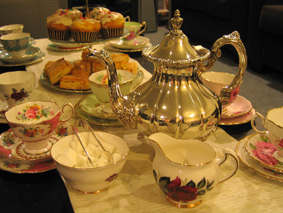 Rose in Thorns: The Tea Party returns! 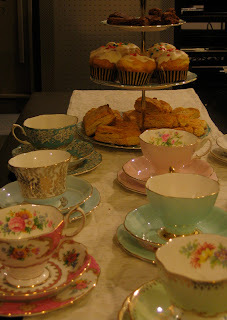 The Rose in Thorns tea party is back, in a brand new location. If you want to shop in a relaxed environment, enjoy tea and cupcakes with fine china all in good company, then why not come along to the next tea party? It will be held on the 16th September at 3pm - 5pm at my home in Northcote. If you would like to come, just fill in the rsvp form and you will be sent address details a few days before the event. You can also rsvp to the facebook event if you wish. There will be some great specials on clearance items, and I will have some candles lit, so you can see them in action. If you can't wait that long, I will be at Dunkley's Craft Show this weekend at Addington Raceway. It is on Friday 7th through to Sunday 7th, from 10am till 5pm each day. This is the first time I've done this event, and I'm looking forward to it. There is an admission of $12, but if you print out this coupon, you can get a $1 discount. Thanks! I'll try and get some new photos up soon.